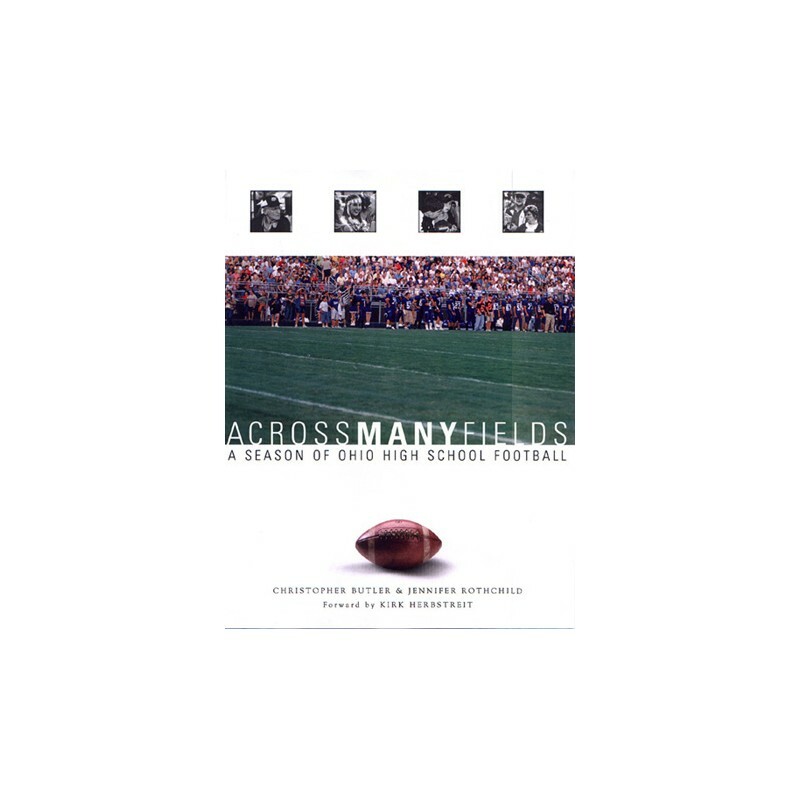 Across Many Fields attempts to capture the essence of Ohio football by chronicling the 2001 high school season with a lively combination of pictures and textual insights. 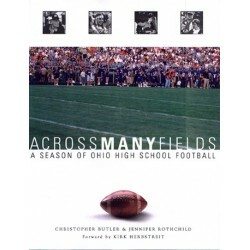 This book observes high school football less as a sport and more as a cultural event through which a wide variety of people take meaning. In our sports-crazed country, many states claim to "live and breathe" football. Texas, California, Florida, Pennsylvania, and Georgia can make compelling statements, but Ohio offers the strongest argument of all. The Pro Football Hall of Fame, the Canton Bulldogs, Ohio State, Massillon High School, Paul Brown, Otto Graham, Jim Brown, Woody Hayes, Miami University ("The Cradle of Coaches") - all are Ohio institutions with influence far beyond their borders. 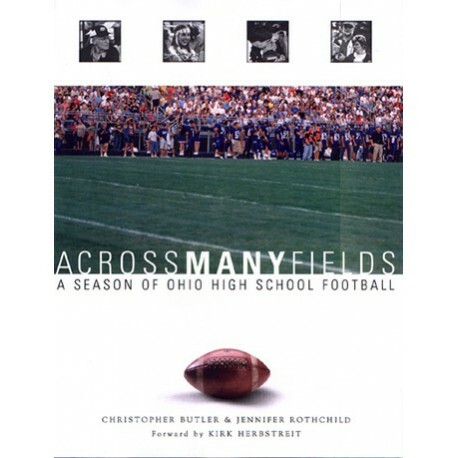 During the 2001 season, writer Christopher Butler and photographer Jennifer Rothchild traveled across the state capturing the images, sounds and words of high school football in Ohio. They visited schools in all six high school divisions and saw big-city and small-town teams. All told, they watched 45 games in 15 weeks, taking over 400 rolls of film and conducting nearly 150 interviews. Photos for the book illustrate every aspect of high school football, including pep rallies, team dinners, concession stands, referees, bands, cheerleaders, players, teachers, parents, pep clubs, trainers, coaches, and paramedics. The reader learns about every phase of the season from first game expectations, to mid-season highs and lows and ending with the two-day, six-game championship weekend that dominates state news headlines every first weekend in December. The photos are full-sized and color, depicting the shapes, patterns, and forms that create high school football, a place where Fridays have an assumed and deeply understood purpose: that football demonstrates community, ritual, growth and instruction. The reader hears the sounds, appreciates the smells, and knows the feel of all the tangible facets of the game. Interviews drive the text as the authors use excerpts from conversations to let the people around high school football tell its tale. The game explains itself through a confluence of opinion, young and old, athlete and administrator, devout fan and casual observer. In this way, Across Many Fields reads equal parts anthropologic rendering and sports book, attracting a wide range of interest.